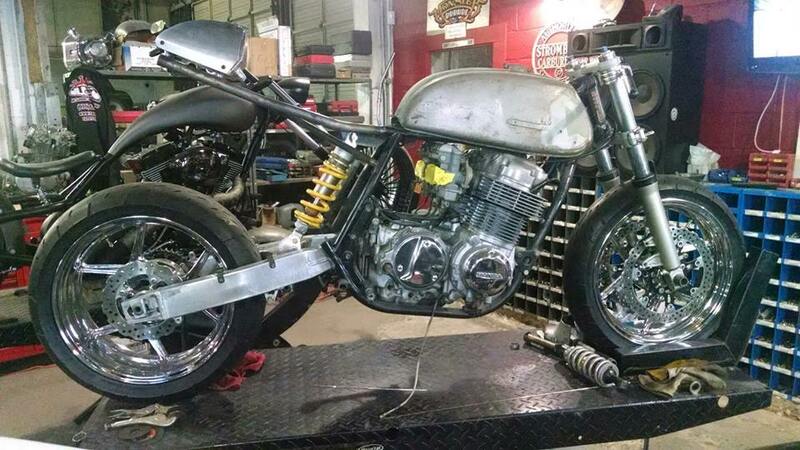 This bike is a Tribute build for Dennis's brother Steven who has passed. He rode this bike for years until an unfortunate bike accident took his life. I bought the bike from Dennis and told him it would be built as a TBC shop bike. Dennis has been keeping up with the progress of the build and has been really stoked about the results.